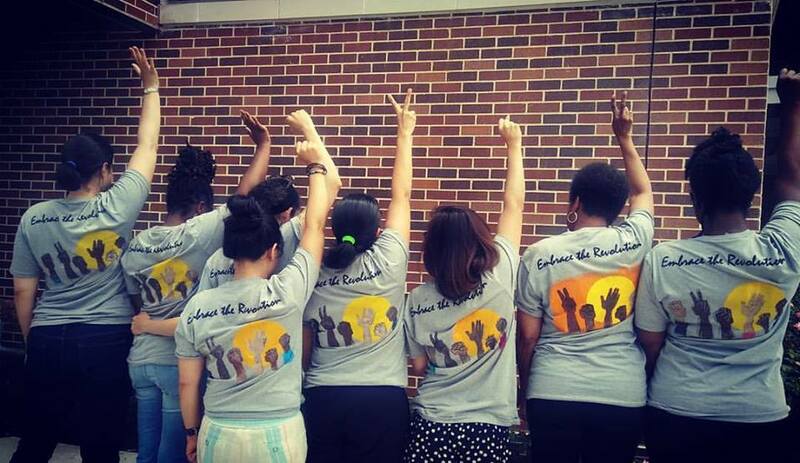 Mother, Montessori education enthusiast, and black breastfeeding advocate Amelia Sherwood talks about her passions for supportive community, Montessori educators for social justice, and her love of nurturing vibrant life for all children, and in particular the importance of nurturing black & brown children and families. When I first saw pictures circulating on social media of Amelia, a beautiful young black mother, out in public proudly breastfeeding her babies, my heart swelled. As a mother, and proponent of good health and breastfeeding for all people, I had wished for a woman in our local Black or Latinx community to do exactly what she was doing, putting positive images of black and brown women breastfeeding out into the world. These images and her presence in public, nursing helps to change the perception that breastfeeding is a only a white woman thing, or that it hurts, or that is only for poor people...or any other stigma that contributes to women, and black and brown women, not nursing their children. Changing the story about who nurses, where and how... is big, and beautiful pictures and presence in public spaces are a great way to help make that happen. To see more, check out Be Brave Breastfeed. So, needless to say I was pretty happy to meet Amelia in person, and to also learn about her love of Montessori education, and her involvement in the new public local charter school, Elm City Montessori, started a in recent years by New Haven, CT parents. She works as the Parent Connector at the school to help families in the city understand the Montessori educational philosophy and methods so that their children can get the most out of the their education. To further help with connecting urban families and Black and/or Latinx families with Montessori, and helping Montessori Educators and national network work well not only with white families, but also families of color, With the full support of her school, Amelia serves on the Board for the national network of Montessorians for Social Justice and helped to start the Montessorians of Color coalition. She is also part of a team at Elm City Montessori working on an anti-bias, anti-racism initiative to address issues of equity in education. * It truly inspires me to see people following their passions in life and building joy and justice filled community along the way. Montessori education is focused on creating an environment in which children can thrive, follow their interests and learn in a self directed way. Most learning happens through hands on activities with natural materials, interactive play and experimenting, often in multi-age groups. By setting up a space ripe with possibilities they letting children's curiosity guide their learning. 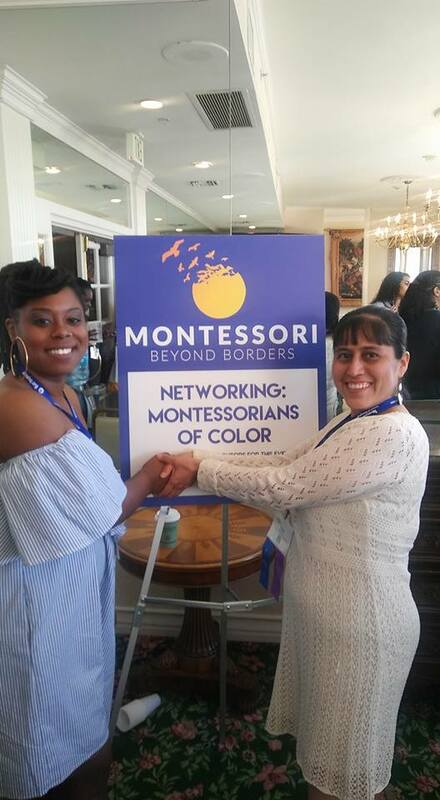 Many Montessori schools and educators around the country are white although there is a growing movement to bring Montessori schools to more multiracial and communities of color. As an example, the preschool, Montessori on Edgewood started in New Haven in 2006, and the Annie Fisher Montessori Magnet School in Hartford, CT was the inspiration for the new school in New Haven. Long before I was a chef and food activist, I was a teacher. I stared working in childcare centers and assistant teaching in after school programs when I was in high school myself. I went on to work in the early childhood center at Sarah Lawrence College and to teach in the after school and summer programs at The Brooklyn Friends School in Brooklyn, NY and the Graham and Parks School in Cambridge, MA. Innovative and child-centered education reform in cities was the focus of my studies in college, and I spent nearly three years visiting the innovative New Vision Schools in NYC to observe positive examples of progressive and effective public schools. After almost 20 years working in food and food justice, my work is coming full circle both through this new radio show and website, as well as through a fellowship I recently received through the Graustein Memorial Fund to work on Equity in Education through storytelling. I feel very blessed to be supported in doing this work and to dig into more stories of equity in education in it's many forms through this year. In this interview we also talk about Amelia's recent switch to eating a vegan (no animal products) diet, and how it's rooted in her desire to live justly and undo racism in it's many forms. Check out this article titled "How Black Veganism is Revolutionary and Essential for Our Culture" which gives a clear perspective on this. The film referenced in our interview that inspired her recent diet change is "What the Health" which is available on Netflix. Overall I think this movie makes some good points about the importance of eating a plant based diet, the reality that the food industry also controls much of the healthcare industry, and the need to question the recent American obsession with protein. However, there are a few stories in the movie of people miraculously cured of illness by eating vegan, and while that has happened to some people, it certainly doesn't happen to all, and it's irresponsible to portray it as such. With that in mind, there is plenty to learn from this movie and many others on the reality of our food and "health" system in the USA. Many thanks to Amelia Sherwood, for opening her heart and home to talk with me for this interview.